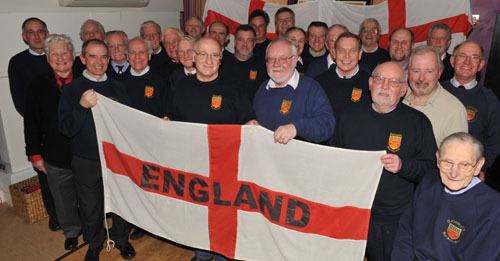 The Cotswold Male Voice Choir collaborated with the top football commentators from the BBC, ITV, Sky and ESPN to produce an England football song for the World Cup in South Africa 2010. Click here to listen to Chris Baxter interview Steve Banyard in South Africa via Skype (MP3). Singing with younger supporters on the pitch at Cheltenham Town FC’s last match of the season against Accrington Stanley. Cheltenham won, ensuring their survival in the football league. Click here to listen to the BBC’s Victoria Darbyshire interview Steve Banyard (MP3). Click here to read the feature on Victoria’s webpage. Click here to read the Premier League’s news page. 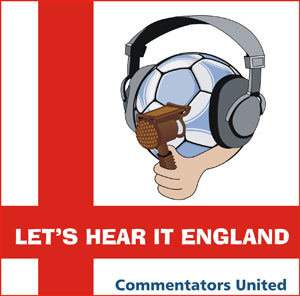 Let's Hear It England was played at Manchester United’s home match with Tottenham on 24th April and will be played up and down the land at many of the country's 92 professional clubs, including Chelsea, Liverpool, Arsenal, Tottenham, Aston Villa, Sunderland, Fulham, Wolves, Wigan, Blackburn, Stoke and Portsmouth. 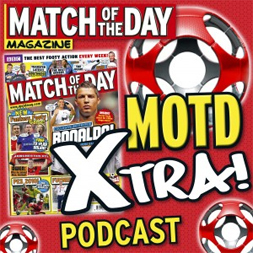 for Match of the Day magazine and podcast. Live interview with Steve Banyard. No audio available, which is probably a good things as it was 27 minutes long! 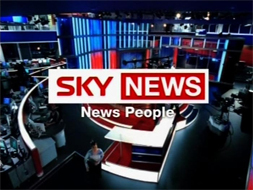 Live interview with Steve Banyard (TV). Repeated throughout the day. Click here to view Alex Lovell’s interview and watch the Choir (Web). Click here to listen to Neil Pringle’s Breakfast Show (MP3). Click here to listen to the follow up interview a week later (MP3). Click here to read MSN article (Web). Click here to read Yaho’s news page. 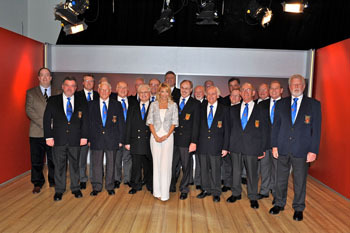 Steve Wilson (BBC), Steve Allsup (Cotswold Male Voice Choir). Click here to listen to Bob Jones interview Steve Banyard (Web). BBC Three Counties - Beds, Herts, Bucks. Click here to listen to Justin Dealey interview Steve Banyard (MP3). ITV featured 'Let's Hear It England' as their 'And finally....' item. They described it as 'oddly catchy' and it got the thumbs up from England fans (Click here for ITV News - no video available Web). Click here to listen to Shelagh Fogarty interview Steve Banyard and the BBC’s Guy Mowbray (MP3). Click here to see the Football League’s online write up (Web). Click here to read Charles Sale’s article (Online). Click here to listen to the first full airplay on Steve Kitchen’s Drive Time (MP3). Click here for bass guitar player Steve Amadeo’s webchat (Web). Click here to read the whole article (Web). Click here to open a full page A4 copy of the Gloucestershire Echo article (PDF). In Yellow Shark Studios, Cheltenham, recording ‘Let’s Hear It England’.